Winter is here. And, people are all set to enjoy this festive winter season in the cold atmosphere that surrounds them. However, while enjoying the fun and festive celebrations, many people struggle with the discomfort of dry, cracked, and irritated skin that occurs due to the cold weather that winter brings with it. Cold weather tends to affect your body adversely. As the temperature drops, the moisture content in your skin decreases significantly. This leads to the winter rash. As a matter of fact, ‘A winter rash is an area of irritated skin.’. And, the winter rash can make you suffer from redness, swelling, itching, flaking, sensitivity, bumps, or blisters. Winter rash can be diagnosed just by the physical examination. The doctor will examine your condition in detail with the help of your medical history to carry out the correct diagnosis. And, this helps them to give you the most appropriate and most effective treatment. The doctor will cross-check whether your skin condition is occurring due to the use of cosmetics, less intake of water, allergy, or any skin diseases, such as psoriasis and eczema etc. 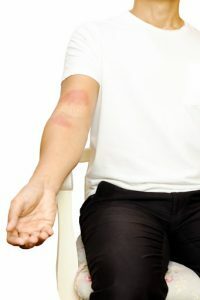 Treatment for the winter rash depends on its cause. If the cause of winter rash is rectified then it helps you obtain a great relief. Find below various home remedies and precautions that help you to recover from winter rash’s discomfort easily. Apply moisturizer several times a day, especially after bathing and washing your hands. It is the most important technique that helps you to fight against the winter rash. Use natural oils, such as coconut oil, olive oil, and other natural oils, that can help soothe your irritated skin. Use an oatmeal based soap as it acts as a natural exfoliant and moisturizer. Oatmeal is rich in vitamin E which helps retain moisture in your skin by forming a barrier. Malai or milk cream is an age-old technique which is used to treat dry skin in the winter. It helps soothe winter itch effectively. Pamper your body with honey, which is a natural moisturizer, comprising anti-microbial and anti-oxidant ingredients. Topical cortisone creams, which are available with or without a prescription, may help reduce your skin’s redness, itching, and inflammation. Follow the manufacturer’s directions or use as directed by your doctor. Homeopathy plays a highly effective role in alleviating the discomfort due to winter rash. Winter rash is common and often recurs many times, year after year. Most individuals, who live in cold climates, may have experienced it at least once. To break the recurrence of this complaint and discomfort, homeopathic treatment plays an important role. Homeopathic medicines are selected on the basis of cause, type of skin lesion, the affected area, and in many cases on the basis of totality. The homeopathic approach to skin rash and itching is curative and not suppressive in nature. The most effective homeopathic medicines for treating skin rash and itching in my experience are Sulphur, Psorinum, Apis Mellifica, Graphites, and Petroleum. However, you need to seek homeopathic treatment under the guidance of an expert and experienced homeopathic practitioner. 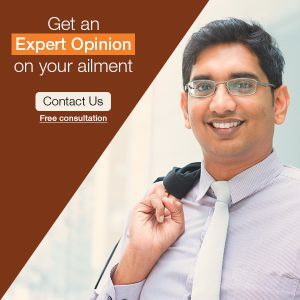 So, if you happen to suffer from winter rash any time, make sure you approach an expert and experienced homeopath to reduce your discomfort and obtain quick and effective relief.